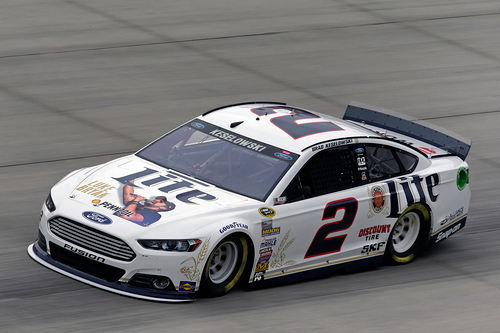 #2 Miller Lite Ford Fusion driven by Brad Keselowsi. Sheet has options for either the 2014 regular scheme car or the Luke Bryan version driven at Dover. Also has options for the Chase car markings. Use Powerslide 2013-15 Fusion Resin Body for donor.